IMPROVE COMMUNICATIONS within your organization. With LIVEWIRE’s kiosk and digital signage software, distribute valuable information to employees, customers and the general public when and where they need it. OVERCOME THE ACCESS AND SECURITY LIMITATIONS of a web site. 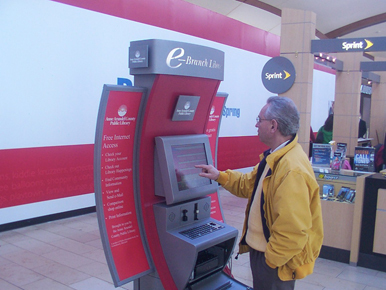 You can do all this and more with a web-enabled kiosk solution from LIVEWIRE. Configuration of a web-based reporting system – usage, custom logging, event reporting, etc. Support for printer, fax, card dispenser, card swipe, cash acceptor, camera, audio, etc.